In today’s job industry, working online is far more popular than ever largely because of the digital era. It’s also popular because of a few undeniable benefits online jobs provide that your typical 9-to-5 can’t touch. In fact, I could probably go over 18 different online job benefits but that’s not my main purpose today so I’ll just share three of my favorite benefits of working online. What more could you want than to make more money while working fewer hours? Perhaps that’s not always the case, but in my 3 1/2+ years of experience with online jobs, I see this trend again and again. Now that we’ve confirmed why you would want to work online, we can talk about how you can land your first online job. You can even use many of these ideas to develop your own online business plan! I’ve been working from home for more than three and a half years and I could not be happier with the flexibility of it. That said, I want you to know that I have spent so much time over the years researching different work-from-home opportunities and filtering legit online jobs that could pay enough to replace your full-time job. So let’s jump in and go over all of the viable online work opportunities so that you too can find a position that works for you. Most of the jobs in this entire list are suitable for anyone, but I’ve divided them into categories for students, moms, kids and teachers for easy sorting. This first list is best for anyone simply because there is such a wide variety of successful people working these online jobs and it wouldn’t be fair to categorize them this way. The site you are on right now started off as a simple blog made by two college buddies, Jeff and Ben. They both had an interest in personal finance, and Jeff wanted to eventually leave his day job and work online full time. Almost 4 years later, they both run DollarSprout full time, along with a small team. The fun thing about blogging as an online job is that you can choose a topic that you’re truly passionate about. As long as you enjoy what you are doing, the opportunities from blogging are virtually limitless. Technically it’s more of a business than a “job” per se, but we included it on this list because of the underlying potential. 1. Advertising – You can get paid for putting ads on your blog. 2. Affiliate Marketing – This is where you get paid a commission for any products that you sell via your blog. 3. Digital Products – You can sell your own e-books, courses, etc. 4. Services – If you like to work 1 on 1 with people, a blog can be a great way to generate leads for coaching, consulting, etc. Recommendation: HostGator is one of the most affordable options to get a money-making blog up and running. They make it simple and easy to get started (and have everything you need all in one place), which is why we recommend them to ambitious new bloggers. If you are well versed in SEO and understand what it takes to rank a site on page 1 of Google, then you could make a great income creating niche websites. From hiking and mountain climbing to babywearing, the sky is the limit when choosing a niche topic. A niche website is not your typical blog with fresh content being added weekly. Instead, you set up anywhere from 4 to 100 landing pages that sell affiliate products in a single niche. With great SEO implemented, once your site ranks on page 1 of Google for a few search terms, many other pages tend to follow suit. There is no guarantee that a certain niche would be profitable, but start brainstorming topics that you are interested in covering. You can also sell these niche websites on marketplaces like Flippa once they are complete and earning money (or keep them and build an amazing passive income). Recommendation: Same as with a normal blog, you’ll need a hosting package in order to get your niche website up and running. We still recommend HostGator. This setup tutorial will walk you through the whole process. Online jobs come in all shapes and sizes, and dropshipping is hardly one to ignore. Though the profit margin of dropshipping is not as high as when stocking and shipping your own physical products, surely you can understand the benefits of a completely hands-off method. Established businesses need your help with their online advertising methods. Many local businesses (not necessarily local to you) are not yet online but know they need to be. Simply scan the yellow pages to find businesses that do not have a website, or at the very least, a website that looks up-to-date and active. Contact those businesses to offer your advertising services. If you can help other businesses get a steady flow of new clients, you will always have work! Product testing is a fun online job that allows you to make money working with products that you already want or need. You can test and get paid to review both physical and digital products as a product tester. Upon signing up for one or more product testing websites, you get matched with products from various companies. After receiving and testing the product, you then follow the instructions and complete a survey or similar task to provide your opinion of the product tested. For your work, you receive cash, gift cards, or keep the product you’ve tested. This is not your typical full-time online job opportunity, but between earning cash and receiving free products, you can certainly make a dent in your finances with this job! If you’re looking for online jobs for college students, this list is a great place to start. 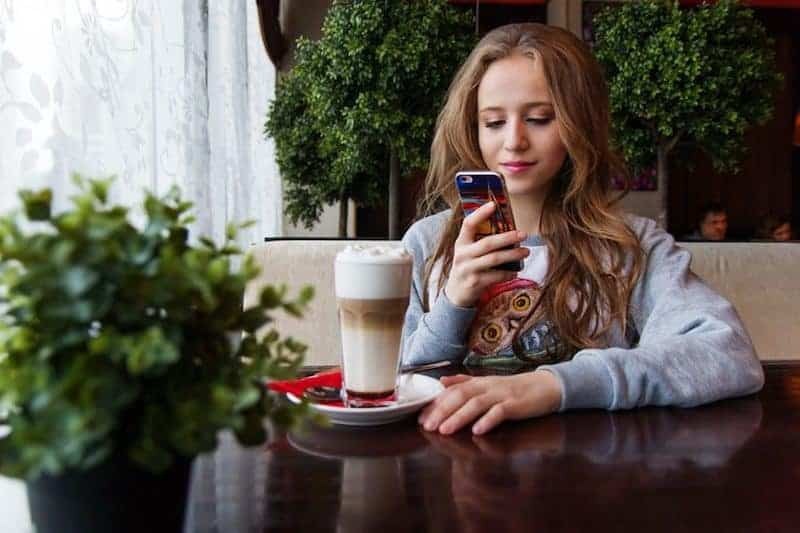 These options are especially flexible for busy students and allow you to concentrate on your studies while still earning money to pay your way through school (or at least have enough extra money to have some fun). If only I was into freelance writing when I was in college! I would have rocked it back then to help pay off debt even sooner than I did. As long as you have talent in writing (you don’t have to be perfect) and you can find clients that need content in a niche that you understand and enjoy, then freelance writing is for you. It’s okay to start on a job post platform like Fiverr or Freelance Writing, but these places are not “where the money’s at.” In other words, you’re going to earn a lot more money freelance writing if you work directly with a business versus a middleman job platform. So to get started on your search for clients, spend an afternoon looking up local business website’s to see if they have a need for content. Then stop by their location and ask if they need help building their content from a local college student freelancer! Also, some local newspapers still hire freelance writers on a pay-per-article basis. If you like spending time at local events anyway, you could end up finding nice writing jobs this way. Another way to find freelance online jobs is to join blogging Facebook groups or content writing groups. The competition can be fierce when someone asks for pricing, but you’ll often find that talent (coupled with competitive pricing) wins. Once you’ve shown yourself worthy of the task, you can begin to raise your prices. One freelancer went from $0 to $225,000+ using her own unique strategies. Now she teaches a course for freelancers to follow in her footsteps. 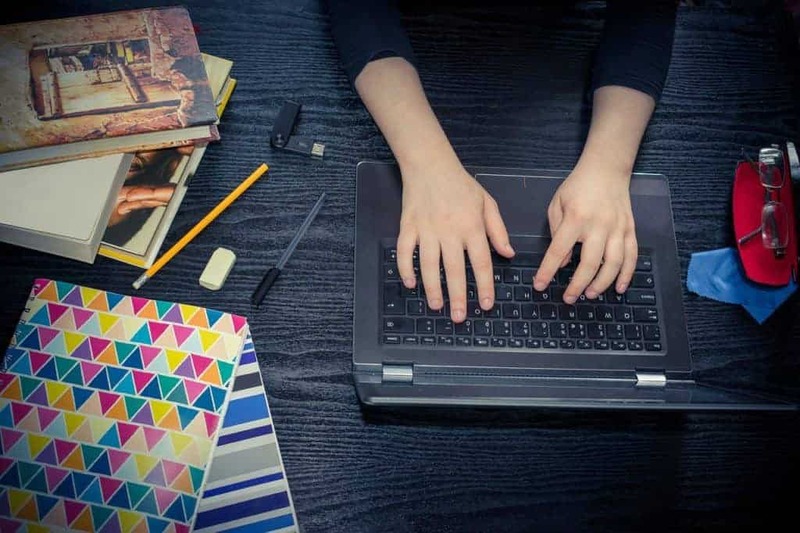 When you’re in college writing papers and submitting assignments left and right, you’re definitely in your prime to offer proofreading services. There are many online jobs for college students that require proofreading services. You can make money there, but don’t overlook the opportunities on campus. Are you on social media every day all day? Start an online job as a social media manager and put that time online to good use! Managing a business’s social media is similar to managing your own Instagram, Facebook, or Twitter. In order to be “popular” on social media, you have to be active – and not just active – but interactive. When someone posts a comment or private messages you, you reply! Businesses often fail at social media because they do not have someone dedicated to staying active on various social media platforms. Local businesses are prime candidates for finding online jobs as a social media manager. Rather than sending an email that goes to spam and never gets read, visit local businesses or introduce yourself through their social media page as a college student looking to help! Some businesses will not be interested, while others may jump on the opportunity to get more exposure online. We all have stuff that we no longer need, right? But the truth is, we rarely take the time to sell it to make some extra money. Instead, we donate or trash it due to lack of time. In this situation, you could be the middleman. Offer to consign items for other students and sell them online for cash. Only when you make the sale will you owe money to your consignees. In other words, no inventory purchases necessary! Just install some great selling apps on your smartphone and keep a good record of consignees and their contact information. If something doesn’t sell, simply return it to them or have them sign a waiver to donate the item to a local charity once the listing has expired with no interest. Another one of those online jobs that students are perfect candidates for is book scouting (AKA selling textbooks online). There are hundreds if not thousands of students on campuses that have no interest in reselling their own textbooks. Sure, they have good intentions, but it’s tiresome when you’re only doing it for yourself. Data entry online jobs would be one of my last picks for college students, but they are still an option if all else fails. These are legit online jobs. However, they tend to pay less and require more time to complete in order to make a decent income. The best thing about data entry online jobs, however, is that the work is flexible and can be done in your spare time. You can take on as much or as little work as needed depending on your schedule. There are many more ways to make money in college that you can make a great income from while studying full time. 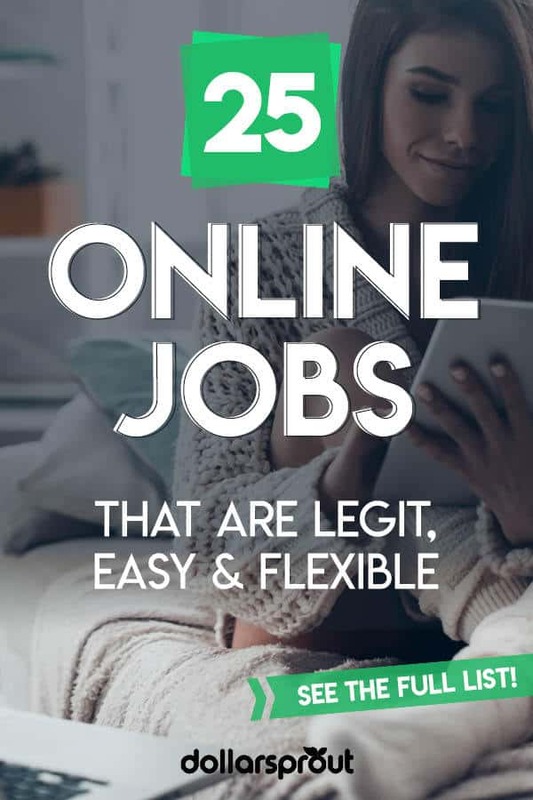 If you’re looking for legitimate online jobs that are perfect for moms, then this section is more tailored to you. 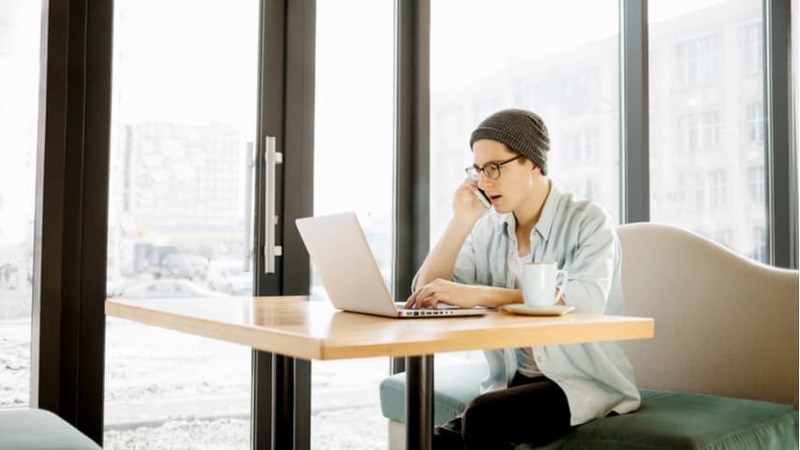 Though keep in mind that any of the work from home jobs listed in this article can be tweaked to work for you as well. So don’t be afraid to look at all of the options to find your perfect online job! Do you have some quiet time set aside during your day to spend transcribing audio files into text documents for clients? Transcription services are still in high demand because today’s technology still can’t translate what the human ear (and fingers) can translate. There are many large companies that hire transcribers for pennies on the nickel that are easy to get into. But if you’re looking for something that pays more, then apply to these companies. They are a bit harder to get accepted into but worth the wait. You can also set up an account on Fiverr and set your own transcribing rates. I would encourage you to search other transcriptionist profiles on Fiverr and set your rates accordingly (remember, competition). Becoming a virtual assistant to an already established online business is one of the best online jobs to get into quickly. Virtual assisting doesn’t have to stop at writing or editing. It can span into a wide variety of online tasks. Virtual assistants often handle things like scheduling, customer support, administrative assistance, email marketing and much more. Basically, the goal is to learn as much as possible to help each client out in any way you can. By the time you’ve built a small client base, you may find that you’ve quickly maxed out your schedule while making a great hourly wage! You don’t need to have a degree in graphic design to land some online jobs in this industry, though it certainly wouldn’t hurt your income potential. Graphic design skills are needed for all types of projects like creating printable sheets, announcements, ads or Pinterest images. If you have an eye for design and know how to use tools like Canva or PicMonkey, you could have an online job position just waiting for you to fill it. Creating beautiful Pinterest images is in high demand among bloggers and even helps almost any business glean fresh traffic to their website. If this is something you would like to learn, consider taking this course to learn how to make the best images that get clicked and shared thousands of times on Pinterest. I have designed eCommerce websites for a few years now for a great income and never had any formal training. It’s not a difficult skill to learn with easy drop and drag builders that integrate with online platforms like Shopify. If you can spot a “good looking” website from a “bad” one, and you’re somewhat technically inclined, then you might be able to hone your skills into designing and building websites. When you visit popular websites, you’ll notice that layouts tend to be similar (top navigation bar, big images, text, footer). That’s because this type of layout works. Designing websites doesn’t mean you need to reinvent the internet and create complex-looking websites. It means you need to know what looks good and be able to use images and color schemes to complete a functioning website that meets your clients’ needs. Do you like to scout online deals, coupons, and savings? Perhaps you love to try on clothes at Target or even have an addiction to buying clothes or shoes already. There are actually online jobs that pay you to share your addiction on social media. It doesn’t take much to become a social media influencer if you choose a niche that’s profitable and you’re passionate about it. You’ll need to post on your social media channel(s) consistently in order to grow your following. There are companies like the Amazon Influencer Program and ShopStyle that allow you to post paid links on your profile. If your followers click the links and make a purchase, you receive a commission at no extra cost to them. As your following and engagement grow, so does your income! Everyone is shopping on Amazon these days which is why everyone should also be selling on Amazon (everyone who wants to make money selling, that is). Have you ever heard of Amazon Arbitrage? The concept is simple, but the process can be tedious. Basically, you find discounted physical products at your local stores and sell them at a profit on Amazon. Though it sounds easy, the profit margin can be quickly chipped away due to Amazon’s sellers’ fees, shipping expenses, and time spent. If you are out and about bargain hunting already, then this online job might be for you. Budgeting and bookkeeping are similar, though budgeting tends to relate more to the individual and bookkeeping to the business. If you’ve kept a strict budget in your own home and you’re willing to share your methods with other families, consider marketing your budgeting consulting services on Fiverr, social media, or your own services website. Similarly, you can market your skills to businesses and offer bookkeeping services to help manage business finances. Start by joining local Facebook groups to offer your service to local businesses or visit them around your town. Once the relationship is formed, much of your time spent bookkeeping can be done online at home with weekly or biweekly visits to your client’s place of business. Easy online jobs exist now that the internet is literally always at the tip of our fingers. These legit online jobs with no fees are perfect for teens who want to make some extra money or potentially build a great college fund at a young age. Selling photos as a teenager may sound ridiculous at first, but think about it. When you’ve got a talent in photography, why not use to land a great online job? Kids start showing their talents in this area quite young, and even more so with smartphones in their hands. There are many places to sell photos online that will bring in a great passive income. Kids can easily sell their extra clothes, shoes, toys, and gadgets once they’ve grown out of them. If they enjoy this type of online job, they can start scouting local yard sales, flea markets and Facebook selling groups for great deals. Upon purchasing a used item at a steep discount, simply list it on a site like Declutter for a profit. Do this over and over and watch the money start to come in. The more time and inventory to burn, the more money you can make. Kids making videos on YouTube (or at least being the main subject in videos) is a huge industry right now. Ryan, the star of Ryan Toys Review made $11 million in revenue in 2017. With the help of his mom and dad, his channel became a sensation for kids all around the world. But today, it’s not as easy as recording a home video, uploading it to YouTube and watching the views and money roll in. YouTube made some changes to their minimum subscribers and views requirements before a channel can start making money. Once those minimums are passed, then ads can be placed on the videos to create an income stream. If your kids are driven and ready to be in front of a camera, then they might love the idea of making a YouTube channel that could potentially start to earn money. Publishing a book on Amazon Kindle is extremely easy, but that doesn’t mean every book published will sell. If your teen has a talent for writing stories and the artistic talents to accompany the story with images, then consider helping them start self-publishing while young. There are tons of ways to make money as a kid (not just online) for those who are ready to get serious and tackle extra tasks and chores. Teaching in a public or private school is not the only way to make money as a teacher. If you have a desire to help others learn, then you can share your knowledge with these online jobs. Online jobs tutoring students is a fantastic way for teachers to make money. You can sign up at any of these sites and offer to tutor students on the subjects of your expertise. You don’t have to be a teacher in order to teach others something you’re good at, but creating an online course is great for teachers nonetheless. You can literally choose any topic that you know well and create an in-depth course that teaches others to do the same. “How to” courses are the way to go because they walk students through a series of steps in a very easy-to-follow way. Upon publishing your course, with some promotion and affiliate partners, you could make some great residual income from your course! You can sell your courses on a platform like Udemy. All of your students will receive updates to the course when you make them. You can also work with affiliate partners on this platform to bring your course to the right audience. If you’re just looking for side online jobs between your daily teaching schedule, consider picking up gigs that are specifically looking for teachers to complete. You can set up an account with GigEd and TeacherEd to look for jobs that interest you. There are so many other ways to earn money online. Simply brainstorm your favorite hobbies and talents and then find an online job that complements those well. Online jobs are all around us, we just need to find the right one. Technology is a wonderful thing that makes working online possible today. All you need to do is seize the opportunity and start working toward your income goals so that you can ditch the office once and for all. Thank you for providing valuable information that is very helpful for beginners and I always inspire from you and your blog. How would a cashier transfer skills to online location independent work without becoming an accountant? I found this truly appealing to me and really love the ideas being presented here. Thanks for sharing this profound knowledge. Community college technology instruction is my specialty. Excellent technology skills improves learning and grades in all courses. In a pinch and need a little extra cash? Looking for ways to make money at home? You are not alone. Google logs nearly 250,000,000 (that’s 250 million) searches each year by people just like you.